There is already much being done regarding outfitting, supplying, and training many west African countries with bicycles and in bicycle repair. 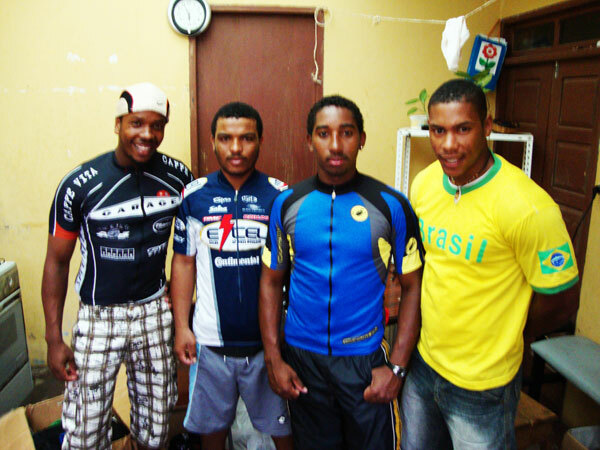 Peace Corps Volunteers in the Republic of Cape Verde, together with Sonadei, have made an inroad into this neglected country in terms of bicycle advancement. As more and more third world nations have international support with bicycles, it is fitting that one of the next steps is that some of these new cyclists move towards using the bicycle outside of cargo and simple transport but for exercise and competition. As cyclists in Europe and the US know, having a team uniform can make you feel pride for your sport and your team and make you feel a part of something larger. 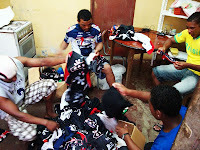 With this in mind, Sonadei wants to further advance the already ongoing donations of bicycles to include bicycling apparel from cycling teams in the US to these countries already being aided by many American and international bicycle organizations. 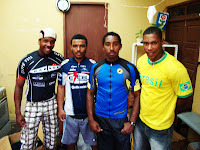 Garage Racing Team looks forward to the results of Racha de Bicicleta 2010 where Garage donated jerseys will be given to race participants and volunteers. To learn more about CVBO check out their site. Your team can donate old race kits too! If you are interested email: "support at sonadei dot com".